Trees do more than beautify our landscape. These hardworking plants help reduce heat islands, clean our air and water, benefit vulnerable populations, impact real estate value and improve the health of a community. But not all trees are the same; what we grow and where we grow it matters. 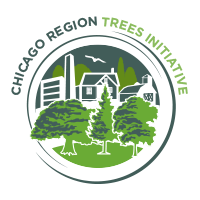 The Chicago Region Trees Initiative (CRTI), a coalition of leading Chicago area environmental organizations led by the Morton Arboretum, recently launched a resource at ChicagoRTI.org to help communities around the Chicago area better understand its tree canopy to improve quality of life. The data reveals that of the 157 million trees in the seven-county Chicago region, 60 percent are comprised of fewer than 10 species, which puts the tree canopy at risk should pests or disease appear. Additionally, nearly one-third of those are invasive species, including the European buckthorn, the most abundant tree in the Chicago region. From Natural Awakenings, a free community-based magazine created for the grassroots community. Readers know us as a reliable source of local news and intriguing events, practitioner spotlights, affordable local resources and a popular community calendar. We present national feature articles, compelling interviews, the latest in healthy living, and inspired how-to’s that make their lives a little brighter.